The attack of 26/11 left a lasting impact on the lives of people in Mumbai. They still remember the fateful day and not for a while forget the sacrifice made by officers like then ATS Chief Hemant Karkare. He along with select team of officers made supreme sacrifice for the nation and was consequently awarded the Ashoka Chakra, India's highest peace time gallantry award. On Nov. 26, 2008, Mumbai was brought to a standstill in one of the deadliest terrorist attacks on Indian soil. On this day 10 heavily armed Pakistani Islamic militants wrecked havoc across this city of India killing almost 171 people and injuring many others. Armed with highly sophisticated weapons they eliminated anyone coming in their way. Though unaware of their firepower and numerical strength, several dedicated police officers tried hard to block their way even by sacrificing their life in the line of duty. 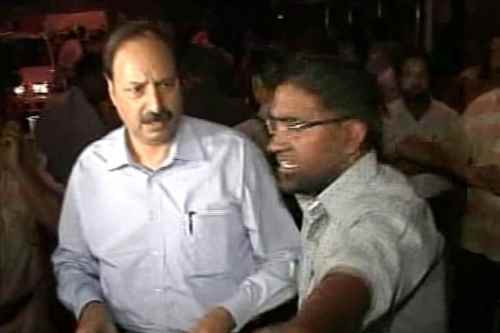 One such bravado was Hemant Karkare who at that time was chief of the Mumbai Anti-Terrorist Squad (ATS). He alongwith several other was killed in action during the 2008 Mumbai attacks after being shot three times in the chest. His bravery was honored with the Ashoka Chakra on 26 January 2009. 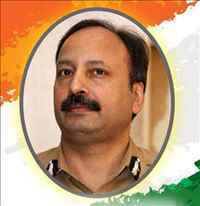 Born on 12 December 1954 in a Karhade Brahmin family Hemant Karkare was a bright student from the very beginning. After qualifying high school from Wardha, he graduated in Bachelor of Engineering degree in Mechanical Engineering from Visvesvaraya National Institute of Technology, Nagpur in 1975. Before joining Indian Police Service in 1982, he worked for the National Productivity Council of the Government of India and then Hindustan Lever Limited (now called Hindustan Unilever Ltd.), the India's largest FMCG company. 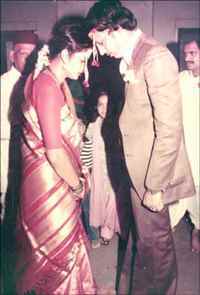 He was married to Kavita Karkare and is survived by two daughters, Jui Navare and Sayalee, and son, Aakash. Hemant Karkare life as a Police Officer saw his involvement in many high profile cases. He joined the Indian Police Service (IPS) in 1982. He was part of elite Research and Analysis Wing (RAW), India's external intelligence agency and served for almost seven years in Austria. His acumen and wide experience in the field of intelligence helped him in climbing the ladder of success. After serving as Joint Commissioner of Police (Administration) of Mumbai Police, he was promoted as ATS Chief of Maharashtra State in January 2008. He alongwith his band of competent officers were instrumental in cracking 2008 Malegaon blasts case in which in which many innocent lives were lost. Deep investigation led to the arrest of eleven suspects, mostly belonging to Hindutva organisations, including a former ABVP student leader Sadhvi Pragya Singh Thakur, Swami Amritananda alias Dayanand Pandey, a retired Major Ramesh Upadhyay and a serving Army officer Lt. Col. Prasad Shrikant Purohit. The arrest led to the coining of new term Hindutva terror or Saffron terror vehemently opposed by saffron parties. His actions created as various political outfits linked the arrests with appeasement of Muslim population. 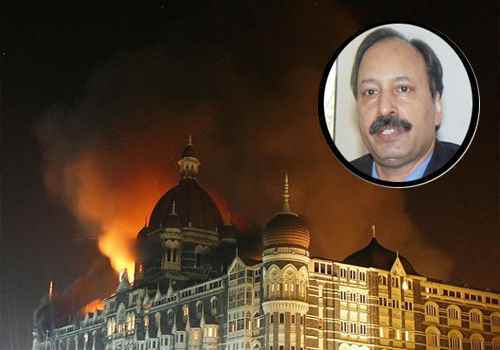 On the fateful day Hemant Karkare got information regarding the mayhem at Chatrapati Shivaji Terminus (C.S.T.) station. He once left for the spot with his driver and bodyguards but by meantime terrorists have move to other parts of the city. 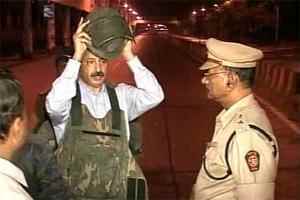 After sometime he was joined by encounter specialist Vijay Salaskar and Additional Commissioner of Police Ashok Kamte. They headed towards Cama and Albless Hospital ("Cama") next to the Azad Maidan police station where terrorists were spotted. Once near to Crime Branch office towards Rang Bhavan they saw a terrorist running. Officers fired at the target hitting the terrorist on his arm. He was Kasab, the lone terrorist captured alive later. Before they could get down from their Qualis a second terrorist, Ismail Khan opened fired killing all three top officers and as many constables. Arun Jadhav was the only person in the vehicle who survived. The rebels later threw their bodies out of the vehicle and sped away. But could not escape their fate as both Ajmal Kasab and his accomplice Abu Dera Ismail Khan were spotted and neutralised by another team of Police officers near Girgaum Chowpatty. While Ismail Khan was killed in the shootout, Kasab was captured alive. In next 48 hours all the other Pakistani terrorists were killed bringing relief to the economic capital of India. 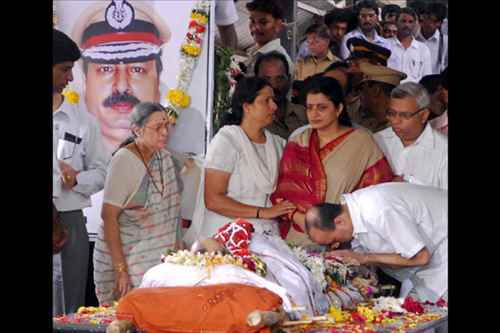 Hemant Karkare bullet riddled body was enough to rouse emotions of millions of Mumbaikaers. People rushed to crematorium to pay their respects. It was as if Mumbai was in collective mourning. Accompanied by a police band, from his home in Hindu Colony in Dadar East to the nearby Shivaji Park crematorium he was saluted all along the way with people lined 3km stretch to pay their last respects to the valiant cop. “Hemant Karkare amar rahe”, “Bharat Mata ki jai,” the crowd chanted as the hearse passed. 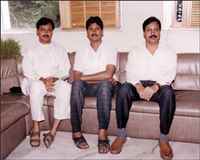 Almsot all the prominent political leaders including the then Chief minister Vilasrao Deshmukh attended the funeral. He was posthumously awarded with the "Ashok Chakra" India's highest peace time gallantry award, for his actions during the Mumbai attack. We will never forget what you did for our nation. Love you Sir wherever you are. Enjoy peace ! Jai Hind. Hemant Karkare Saheb was very great.